Large and in charge—that’s the Emperor’s story, associated with Aries. He doesn’t look like a man to waver, now, does he? He confidently wears that crown, holds the ancient Ankh of Life, well-armored under that red (active, fiery) robe, and his thrown bears symbols of the Ram. The Ankh was often used for protection, often combined with glyphs meaning strength or health, portrayed in images of the Gods, and has special association with Egyptian deities of the afterlife, granting life to mummies. In other words, he doesn’t mess around. Neither should you. Can you use some of the Emperor’s energy? I have a decidedly low threshold for disharmony. I usually blame that on being all “sensitive” and whatnot, eating the emotional energy in the room.. But there is a more influential reason. Here we’ve got the Four of Pentacles (Sun in Capricorn). This fellow is often read as fearful, greedy, and miserly. But I also see him show up to indicate stability, solid foundations and (at least some) success. Like most flavors of energy, his has multiple applications, you know? I write sometimes about the struggles I’ve had with my family and their faith. I know it impacted me deeply. Until not-so-long ago, I would have told you with a straight face, though, it makes little difference anymore. But I discovered it does, much more than I realized. I have a really tough time with emotional disconnects from people I care about. Not than anyone savors it, mind you. I’ve got that. But for me, the feeling goes alongside—either I somehow become exactly who you want me to be, or you’ll throw me away. It still smacks me, sometimes hard. Carrying that around subconsciously can create…um, complications, you know? Well, it’s not all that subconscious anymore. And what the Four of Pentacles is reminding me of is that I already HAVE stability. There are people in my life who are not leaving. But even more so, I have stability that comes from within. Looking outside myself for it becomes a bottomless pit, a hunger that can never be satisfied. Looking within, when I manage to generate my own sense of self-worth and continuity, I don’t have to rely on any single outside source. I am safe. That’s not to say some losses would not be tremendous or inordinately painful if they came to pass. But it does mean that I can relax my guard some, because I won’t cease to exist if somebody I love doesn’t always love me back. Does this guy have something to tell you today? Follow Dixie and the Everyday Tarot on Twitter or Facebook. Or just schedule a Tarot consultation. The Four of Swords (Jupiter in Libra) is also known as the Lord of Rest from Strife. Ah, a break! These fellows from the Cosmic Tarot look a lot less DEAD than the dude on the RWS version, thank-you-very-much! But they are at rest, at peace, just the same. Tarot Fours denote support and stability. That means it’s safe to relax a minute. I consider this a generous (Jupiter) peace (Libra). Lay down those swords. You won’t need them for a bit. Relax, socialize, and recognize this moment for what it is: a gift. Yes, there will be battles to fight another day. But for today, sit down. Relax. Have yourself a bit of wine, or perhaps break bread with another. See the bigger (Jupiter) picture, in fairness (Libra). You’ve an opportunity (Jupiter) to regain your balance (Libra). Take it! Are you taking a little rest from strife? Today’s Tarot is another selection from the Thoth-flavored Rosetta Tarot—Truce, the Four of Swords (Jupiter in Libra) and Cruelty, the Nine of Swords (Mars in Gemini). You’ve got a respite here, a temporary settling into decorum. Manners reign, for NOW, that is. But be aware, cutting remarks, sarcasm, and in general, aggressive thoughts are only dormant, not dead. Is that nasty clash coming from within, or without? That’s always my question. Most commonly, I read the Nine of Swords as primarily internal perception, not due to uncontrollable, outside circumstance. But here, I could go either way. The point is, however, that any conflict has not been eliminated, only on hiatus. 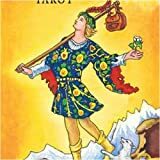 It’s a great time to stabilize (Tarot Fours) thinking (Tarot Swords), understanding those thoughts feed…something. Get clear now: what do you want to feed? Noting the astrological association for the Nine of Swords, we realize frustration and drive (Mars) is powered by words and thoughts (Gemini). It’s all in your head, Grasshopper! The intent you assign is personal, not universal. As with any of the Tarot Nines, we’re looking at a possibly tiresome, undoubtedly long-standing situation, approaching completion. Time to get quiet, take a deep, cleansing breath, and just BE for a minute. How do your thoughts fuel your frustrations? What’s most important to protect? Headed back into battle, it’s vital to be clear here. Otherwise, you may find yourself taking somebody out (or being taken out) with no real point. Focus, focus, focus on the point. You don’t want to deal out or suffer damage without a worthy point. Do you have any tentative truces in effect? 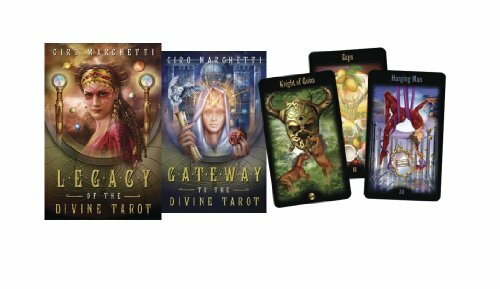 Purchase the lovely Rosetta Tarot directly from the artist. There are times when resources need to be managed in the material world. Money is certainly one resource, but how about time, energy, or efforts? We only have so much of whatever resource to go around. The Four of Pentacles says we DO have what we need already and it’s stable. So no reason to worry. Having what you want? That’s an entirely different question. Best to know the difference. When I was young, our family had very little money. That didn’t much register until after I was grown up. Not really. Until I was looking at pictures with my Mom one day, noticing she was saddened by a particular photo. It was of my brothers and I, in the yard of the house I grew up in. For me, the picture evoked only good memories—I spent many hours getting pushed around the yard on that old wheelbarrow by my brothers. I loved it! But Mom saw something completely different: the too-small shirt I wore, the hand-me-down pants, several inches too short with patched knees. Today’s Tarot is the reversed Four of Cups (Moon in Cancer). There’s a sense of discontent, dreaming for something other than what you’ve got! Inverted, there’s reasonable possibility you may be looking in the wrong place. Seems like we’ve got a theme running here, eh? It’s worth noting that like other Tarot fours, this situation is stable. It’s not a Law of Attraction situation where you’re dreaming your way right into a new future; this card doesn’t show a feeling of connection to what you want, but a sense of lack. Lack can only attract more lack, according to universal law. While the object of desire may remain the same, the energetic vibration between lack and hope is markedly different. If you have faith, you can look to the future with joyful anticipation—what you want OR something better, big picture, is on it’s way, right? But without faith, there’s only longing; this is the definition of poverty. If you’re feeling discontent, look to expectations. Does everything have to be one way—yours? Are you writing the script down to the smallest detail, lamenting the rest of world for ad-libbing? Can you open heart in appreciation for what you DO have now, how you have it? Can you call upon faith that what will come forth will be right, exactly as it should be? If you don’t dig your picture, try altering your perspective.